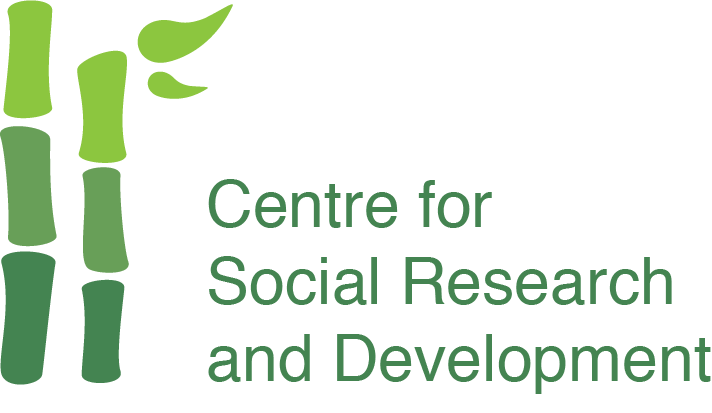 The Center for Social Research Development (CSRD) has been hosting a study tour for students from Hiroshima Jogakuin University, Japan. 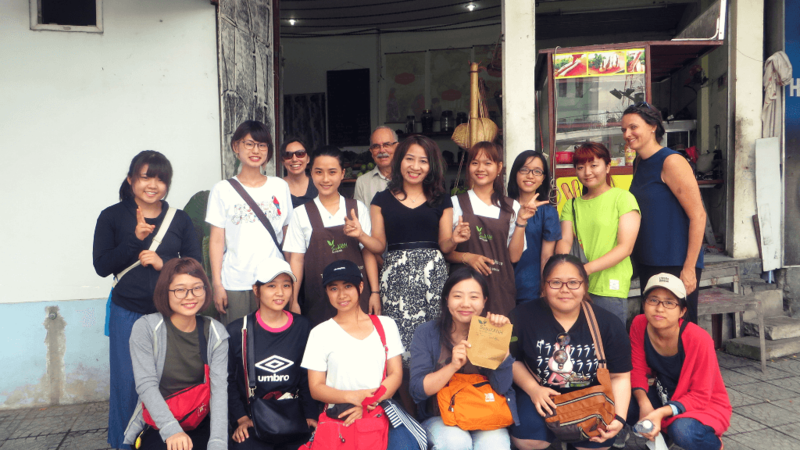 The tour was conducted on 18 August 2017 and followed on from earlier tours for students of environment and society. 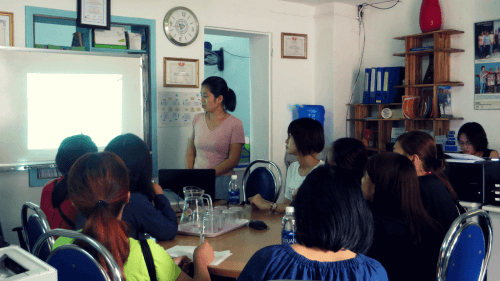 Introductory presentation by Ms Lê Thị Mỹ Hạnh about CSRD activities. CSRD staff started by giving the student group an overview of local issues and the challenges that local projects are facing. They talked about CSRD’s mission and its story and described the projects and activities that CSRD is involved with. 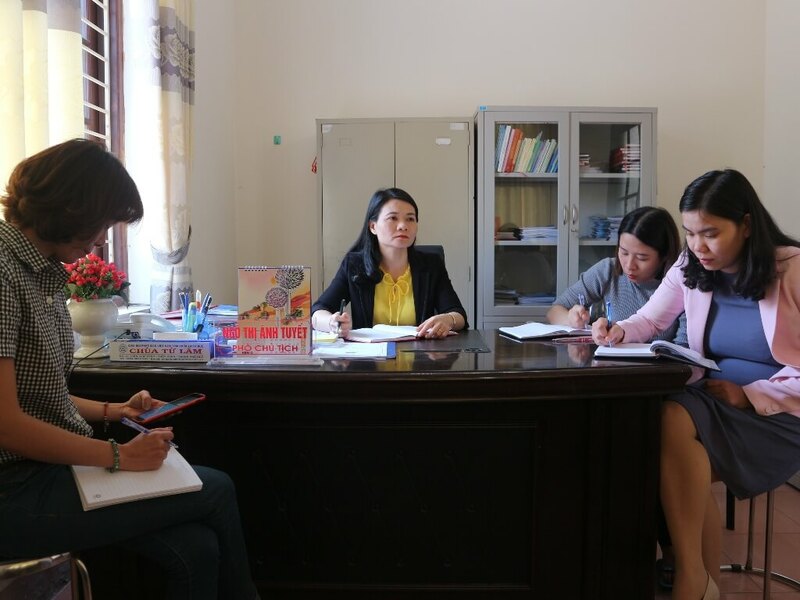 The students later visited the Duc Son orphanage where they learned about the children and their backgrounds, and about the philosophy of the orphanage. The visit was interactive and the students had a chance to exchange gifts, talk and eat with the children, and to participate in games and group activities. 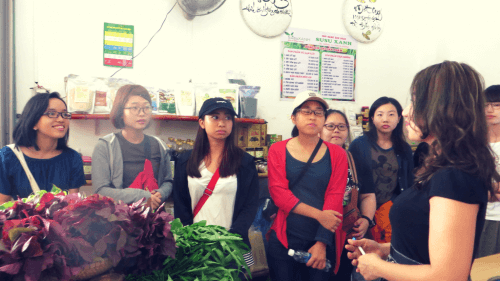 The students also visited the Susu Xanh Organic Food Shop and the Organic Garden in Kim Long Ward. 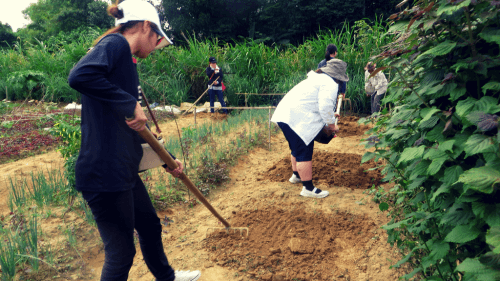 They participated in activities such as digging, weeding and sowing seeds, and they watched and learned from farmers making compost and sharing their knowledge about organic farming. The students’ program aimed to learn, and to connect their knowledge in school with practical activities. 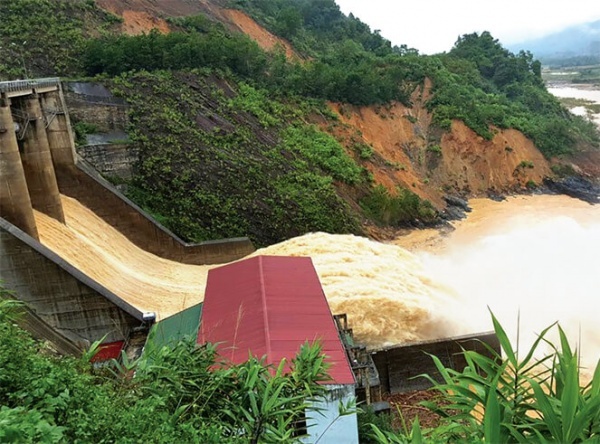 These activities give students a chance to learn more about social issues, organic agriculture, sustainable development and environmental protection. Visiting Susu Xanh shop in Hue city. 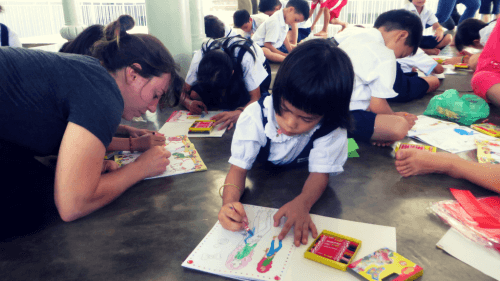 Games and activities in Duc Son orphanage. 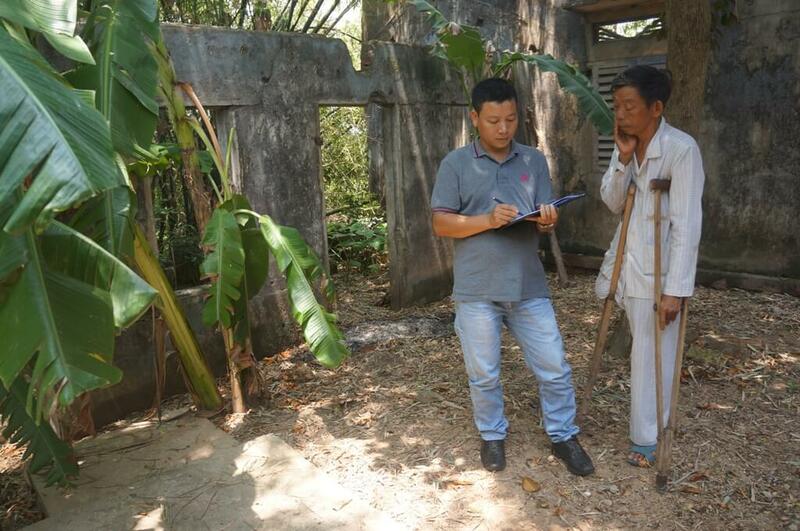 Practical experience in organic farming. From their experience in the tour, CSRD received a lot of positive feedback from participants. Ms Mizuki Oto shared, “This trip to me is a wonderful trip. I learned a lot of things that I never knew before”. Ms Julia Babcock (teacher at Hiroshima Jokakuin University) said: “Last year, I came here and I really enjoyed this study tour and so this year I am returning with the students. I hope we will come here again next year and in the following years”.